Are you feeling defensive a lot? Has the past made it difficult for you to let your guard down and just enjoy BEING? 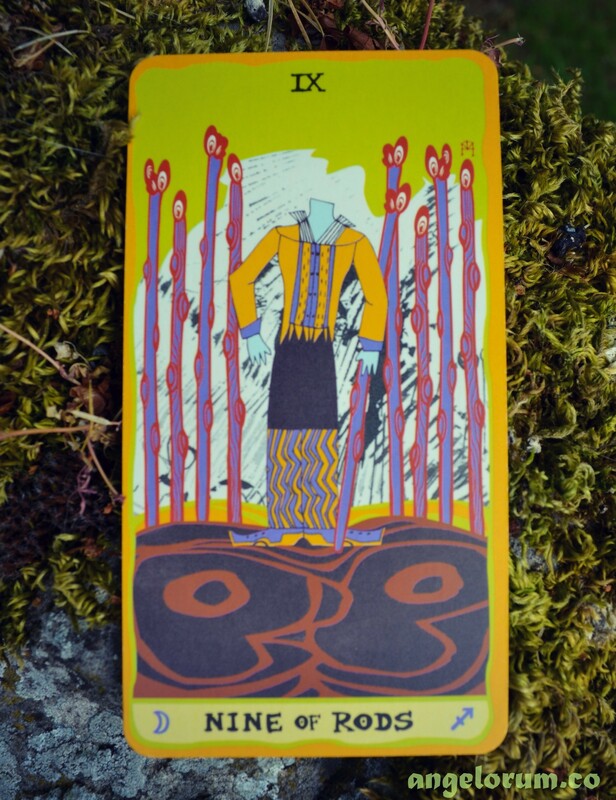 This is the Holistic Tarot lesson that comes with the 9 of Wands: To learn from past mistakes without allowing their consequences determine your future choices in a negative/pessimistic way. You have learned a lot and come a long way already but don’t settle for knowing who you are if who you currently are is making you unhappy. The power to change still lies within, no matter how old your negative thought patterns are or how deep those beliefs go… Believe in change and you will see it. Confidence and grace will always keep you far safer than fear and mistrust. Dear Mother-Father God (or whichever higher power you acknowledge), help me move forward without the past informing my future. Allow past disappointments to quickly fade and vanish so that I can greet each new day with a sense of optimism. Thank you for the lessons that helped me find sound personal boundaries. Bless those boundaries and keep me safe. So mote it be!